Ohio occasionally gets hammered by Mother Nature’s fury, and what’s left behind can be a disturbing amount of damage to trees, power lines and your home itself. At times like these, you can always turn to Campo for fast, professional roof repair in Cleveland, Ohio. 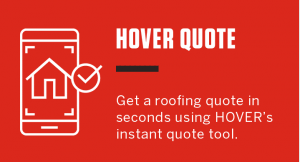 We’re local roofing experts who have been helping Ohio homeowners and commercial businesses recover completely from all kinds of storm damage for nearly 40 years. If your roof begins leaking following a storm, call Campo immediately. Our crew will respond to protect vulnerable areas from the elements, preventing further damage to your home. Whether it’s a major or minor weather event, you can count on us to help you quickly regain your peace of mind. Campo understands all aspects of storm damage, and offers a trained eye to help you determine whether to file a claim with your homeowner’s insurance company. Should you choose to file a claim, we can further assist by guiding you through the claims process and providing documentation of all damage we find. It’s also important to have an advocate in your corner when the insurance adjuster comes to assess the damage to your home. Let Campo represent you so you can get a fair settlement. We’ll meet with the adjuster, offer our professional evaluation, and press for timely and accurate settlement of your claim. We will continue to work with you as we restore your home back to its original condition.